I do try and fit in ‘normal’ person activities around training for ultra slog fests. No more so than just after I’ve completed a major slog fest aka the ‘blowout’ period where I catch up on eating and beer activities. Although possibly a little soon for the legs to be in one piece after the UK 24 hour solo championships I had entered the Ard Rock Enduro ages ago so without any of the usual pre race faff I rocked up totally unequipped for the weekend ahead but ready for some beer, junk food and awesome trials. Our group got entry to the ‘Intro’ after missing out on the main event so that meant the last three stages rather than the full five. It turned out that we were somewhat out of place as even a 10 pint handicap group of mid speed riders ended up packing the top places. We hadn’t appreciated how many beginner riders there would be, great for the sport but maybe not so if you wanted a clean run down the stage. I didn’t really care either way as I wasn’t seeing this as a race at all. 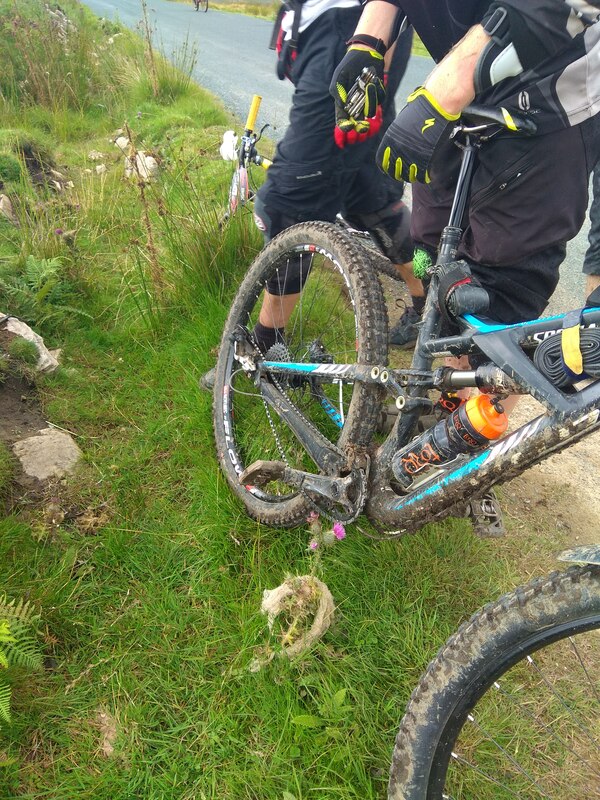 My day changed quite a bit after nursing my hungover self to the top of the first major climb only for my mech to crumble in to pieces. Mech off, rear shock pumped up to 220psi, singlespeed full susser here we come. It made the day a bit of a grind/ long walk but despite not being able to pedal properly from either spinning out after 2 seconds or the chain just dropping off and flapping around I still loved the descents. I need to work on my chainless racing skills though finding myself having to punt along at times. For good measure I got a flat right at the end of the last stage. The stages were a mix of what I would basically call proper mountain biking taking in moorland trails some fun rocky quarry sections and sheep tracks. Not as techy as some made out but if you were flat out I guess it would get a lot sketchier. Some off camber fields with jumps through walls was pretty good fun. Somehow I ended up in 13th (definitely unlucky!) although we were somewhat out of place in the intro group with lots of beginners stacking the ranks. Smiles on everyones faces though despite the hold ups. Great to see lots of ladies out there in the hills, probably the biggest turnout I’ve seen at any bike event in fact. Big ups, big downs. Hard work on one gear! 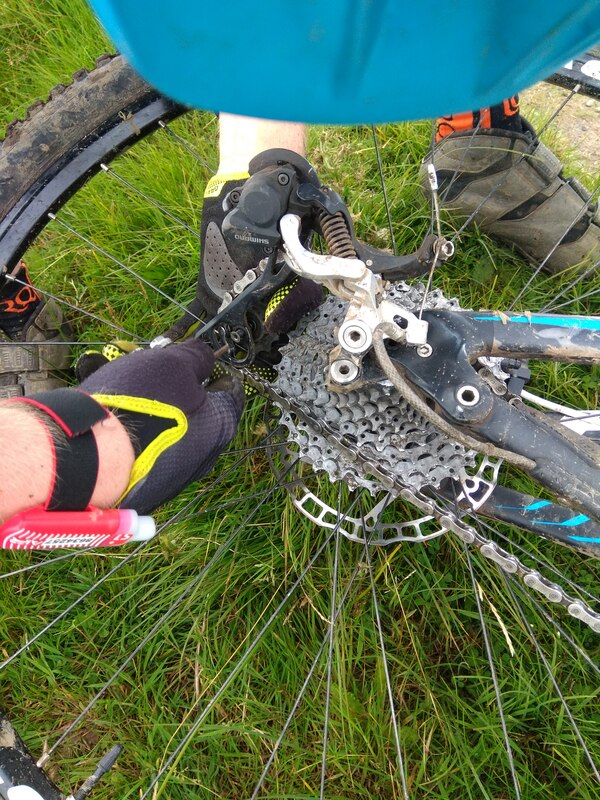 The terrain in the Dales is awesome and some of the climbing is a walk on a big bike. Next year I’ll definitely be up for the main route if we get an entry in time. I had a crazy thought of doing all three events across the weekend so that would total 125km of hard terrain, hmm might need to stay out of the mosh pit the night before for hat one.